I’ve been a fan of PSL Founder Alex McEachern from back in the BMI days; have not had a lot of opportunity to work with the PSL devices / technology. To be honest, without an on-staff or on-call power guru (like me) to help sort out signal from noise, the technology seems a little hard to use / parse for the layperson. But cool as hell, from a power quality perspective…. MCM Electronics, in business for 40 years, will close two plants and its corporate headquarters in Ohio and lay off more than 90 workers, the Dayton Daily News reported earlier this summer. The company, which carries an electronics inventory of more than 300,000 items, including 3-D printers, tools, wire, cable, and other items, has been a Dayton Hamvention® vendor. The layoffs will begin at month’s end and continue through the end of the year. MCM Electronics and Newark element14 have partnered together for over 32 years as part of the Premier Farnell family. Now, MCM will be strengthening this partnership under the Newark name. MCM’s unique product offering combined with Newark’s vast inventory, expanded services and global reach makes us the one stop shop for engineers, installers, educators and makers. MCM Electronics and I go back a long ways. I’m pretty sure my first purchase was a set of Spin Tite nut drivers; I’d found them super handy in the labs at my first job at Superior Electric and soon after purchasing my first home I outfitted a workbench. Still have that small set of color-coded, english gauged drivers. Over the years I bought oddball tools and test equipment, parts and components, and most recently audio-video equipment. I’ve got a storage locker full of A/V gack: LED Par Lamps; speakers, speaker stands, lighting stands, lighting truss, XLR and speaker cables. Often purchased via one of the seemingly insane 50% off sales that would periodically flood my physical mailbox. MCM Electronics seemed to be one of the last bastions of physical catalogs; I still have their last catalog on my shelf. It was never the highest quality stuff, but it was light duty, serviceable, good enough for my needs.And for whatever reason, their shipping department seemed to be amazingly responsive – I’d order stuff “slow boat” and it would show up 1-2 days later; big boxes of speakers or truss or whatever. And while stuff still seems to be available, I have no doubt that the selection will narrow, the catalogs will stop coming, the to good to be true sales prices that often enticed me to buy will no longer be offered. End of an era. There’s a lot of that going ’round in my world these days…. I was the national Power Quality Engineer at Philips’ North American HQ circa 1989-1995 and laid the groundwork for a lot of this. So this is interesting to see. Overall, pretty well done. The “lousy power” waveforms are a little unrealistic / conceptual (I’d have insisted it was a little more realistic) but they hit all the high points. Think they futzed up the isolation transformer based UPS technology a bit (the isolation transformer is unique, but does not provide the conversion from AC-DC which is pretty standard in all online UPS systems). Interesting to see Rx Monitoring Services reports spotlighted; a good partner choice if one is using power protection as a revenue source. Social media good deed of the day – a local contractor (with all of 140 Facebook fans) has been dutifully posting project updates of work done for one of my social media clients (with 26,000 Facebook fans) and tagging us. I noticed. This morning I did them a solid – grabbed a few photos of the work in process / completed, gave them a shout out and a link, and posted it to my client’s timeline, where, unboosted or sponsored, it has been seen by 1400 folks so far – 10x their organic reach. Great social media fodder for us (infrastructure improvements as we move into the fall / xmas season) and super great exposure for them. Use social media folks, it works! 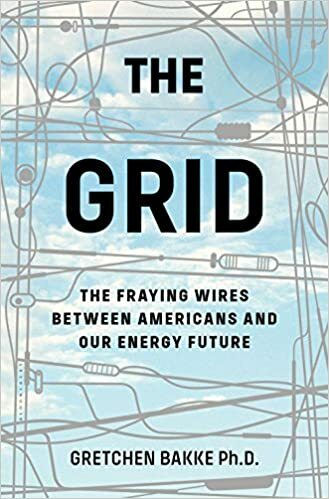 In her new book, The Grid, Gretchen Bakke argues that the under-funded power grid is incapable of taking the U.S. into a new energy future. She explains the challenges to Fresh Air‘s Dave Davies. Just ordered a copy online; was a great interview and sounds like a wonderful book, dealing with the realities of balancing nearly unlimited, yet inconsistent renewable power sources (solar, wind, etc.) with the reality of consumer and commercial demand. 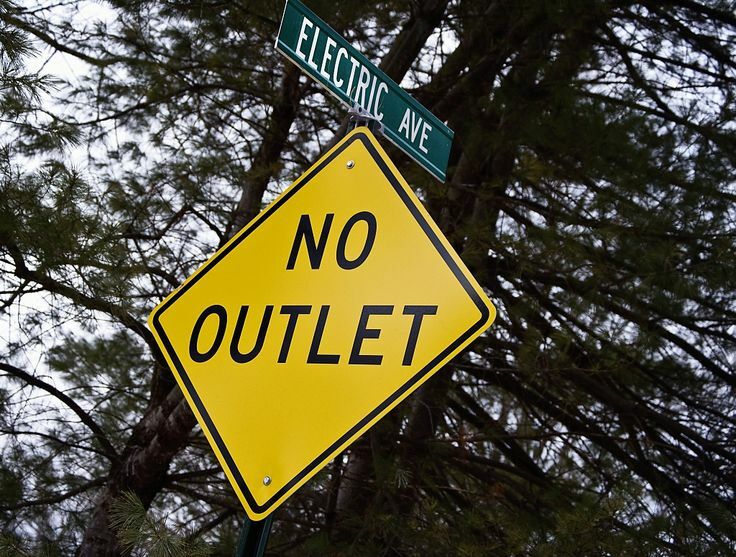 I confess to being a little curmudgeonly about issues of power usage, renewable energy sources, attempts to encourage consumer energy savings, etc. and this book gets to the heart of a lot of that. Really looking forward to this read! Om Street 2016 has come and gone, and it was a big success on all counts. From the audio / tech perspective, lots of positive improvements from previous years, and thought it would be useful to document those. Sound Systems: New for 2016, we were able to provide all of the sound reinforcement in house (yoga studio equipment and PowerLines equipment). While the equipment we’ve picked up is far from top-end or state of the art, it was solid and worked well. In previous years, rented or borrowed equipment introduced a bit of unknown that could complicate the set-up. Speaker Cables: Picked up some additional lengths of speaker cables this year – 2 x 50′ and 2 x 15′ speakon-to-1/4″. This gave me plenty of length to push the speakers right to the curb – aesthetically better and safer. Band Sunscreen: The band had asked to move across the street for shade. Not that practical (no super-long snake, no power on that side of the road, more narrow space with a sidewalk that can not be blocked) but I promised to set them up a sun-screen. I fab’d something from lighting truss and a couple of tapestries; one of our teachers is a set designer for Hartford Stage and buffed it up, and it was perfect. Band Monitors: In previous years, the band set up a small PA and mixed themselves, and sent me a mix out to mains. Not a good plan. Then I took all the instrument feeds to mix and sent them a monitor feed for their little PA. Better, but lots of feedback potential (they tend to move the mics a lot and swap out instruments). This year, I dumped their PA (and insisted it not show up) and gave them a small headphone amp / distro with 4 separate outputs, and headphones for monitors. PERFECT. They got their sound without a lot of external interference, and I got zero band feedback. Band Talkback: We’re a small event / location and do not own or rent PL headsets for communications. Instead, I set up two dedicated mics for the band and I which went ONLY to the monitors. With all of us on monitor headsets, it made it MUCH easier to set up the band mics and monitors, and then I simply pulled those mics out for the event. Popped upon my social media feed this afternoon. Price Chopper is running a sponsored ad touting their support of Riverfest, at the same time the cancellation of said event is all over most social media feeds. It’s one of the reasons I’m a bit hesitant to embrace scheduled, planned social media posts, and have a more hands-on, direct approach. Because one never knows – some sort of political incident, tragic accident, hilarious meme, or other news story could crop up and the juxtaposition of a social media post (sponsored or otherwise) with a problematic news story could result in a social media fail. Even if there’s no direct connection (as there is here), promoting a fun and games event in the wake of a crime, attack, or natural disaster is at best, tone deaf. I do schedule some things, but I do so judiciously, and keep an eye on things – ready to pull the plug at any time. And I notice what companies and organizations seem to be managing their social media somewhat robotically or blindly – and make some assumptions about the entity’s customer service accordingly. We’ve been working with Siemens since 2001. Somewhere along May 2009, we transitioned reports and templates from being branded as Siemens Medical Solutions to Siemens Healthcare. So I suppose it’s about time for a bit of rebranding. Pretty minor change for us (the word “Healthcare” appears a grand total of 2x in the report templates we start from. The new name embodies the company’s pioneering spirit and engineering expertise in the healthcare industry. It is unique and bold and gives a new identity to the organization and to the people – the people accompanying, serving and inspiring healthcare providers worldwide – the people behind outstanding products and solutions. Makes me think of Walt Disney and the Imagineers (I’ve recently watched a PBS biography of Uncle Walt). A friend passed this along to me today – so interesting / refreshing to see an organization care about EMF, and have a healthy and science based approach to minimizing these. There are so many “smoke and mirrors, fear and magic” products, practitioners, etc. out there (especially in the world of yoga, new age, holistic health), that when a friend mentions EMF I usually have to hold my tongue to avoid getting into an argument.